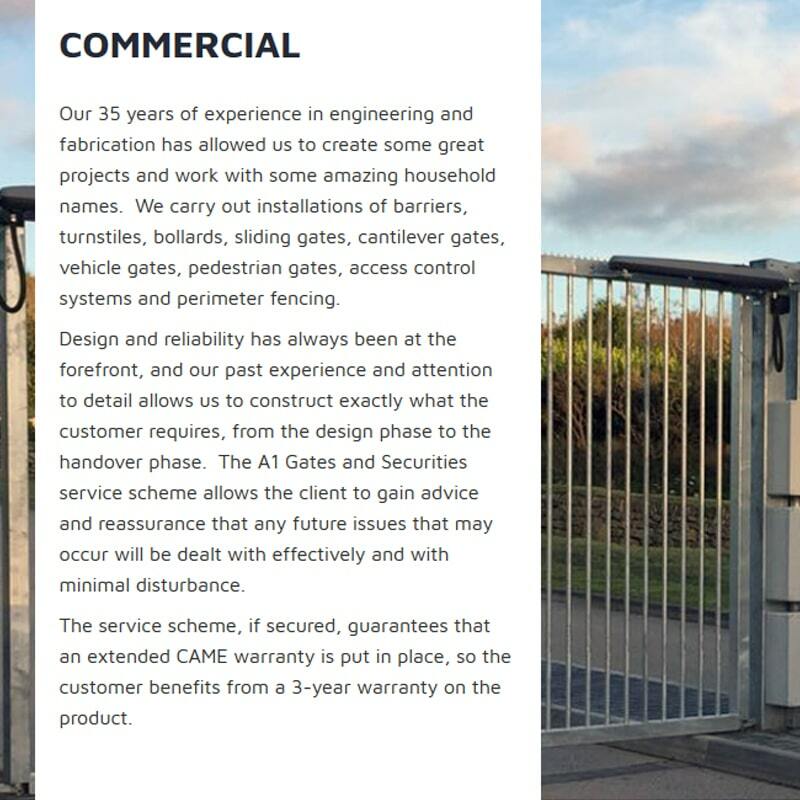 A1 Gates & Securities came to Function28 looking for a complete website re-design, Website Hosting and some business email accounts. The new site had to be responsive and have a decent, easy to use flow to it. 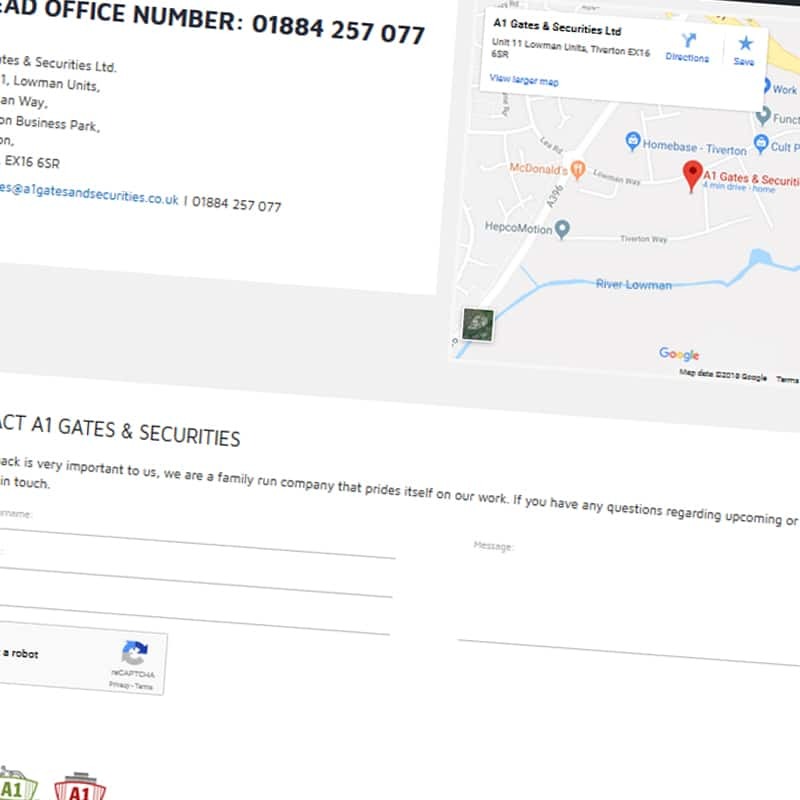 We suggested to A1 gates and securities about using a promotional video for the homepage, and working with a local videographer we managed to produce a stunning homepage. 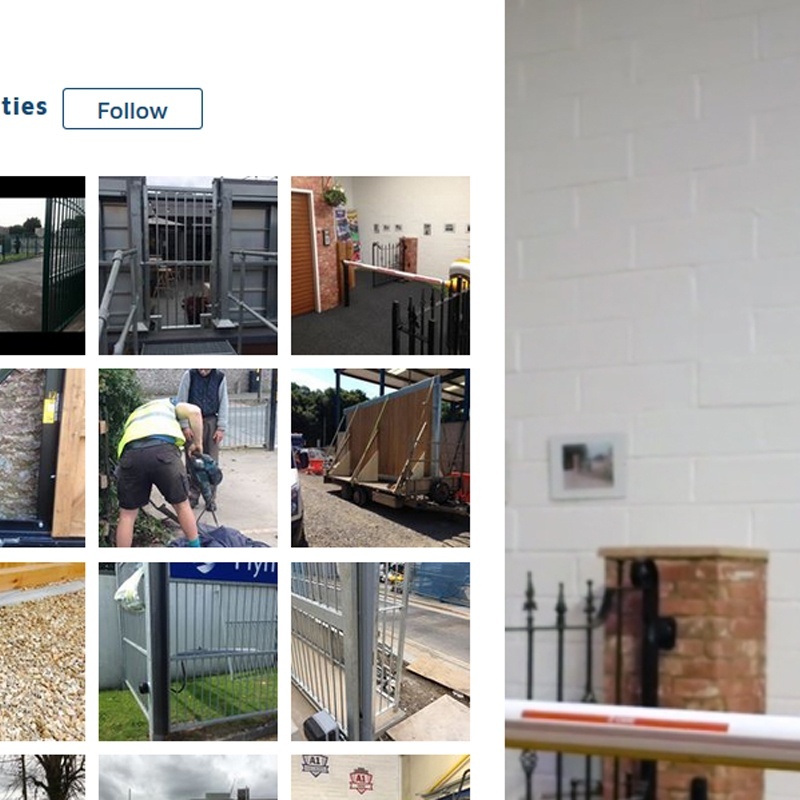 Being local to us meant that we were able to go to A1 Gates and Securities offices and configure all of the new email accounts and transfer over any local data that they had.